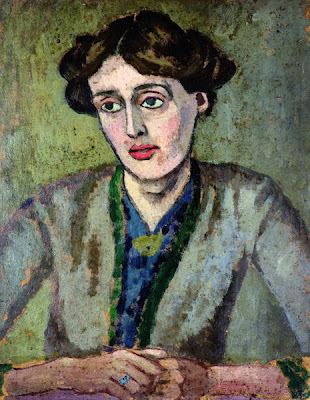 I feel Virginia Woolf's loneliness in this speech. As a woman in a man's world she cries out and then fantasizes about her own death. Can I recommend the soundtrack of the film, The Hours by Philip Glass? hard also to kill off the Master of the House if you're a male writer. You are expected (subtly or not) to get out there and earn the daily bread, pay the rent, cut a respectable figure among the family's friends, etc. And it's strange how notions of equality dry up when there's something wrong with the chainsaw.